All photos are Copyright 2004 by Steve VanDenburgh and used by permission. These photos were taken by Steve VanDenburgh between the early 1950s and 1963, mostly in Oakland and Los Angeles. 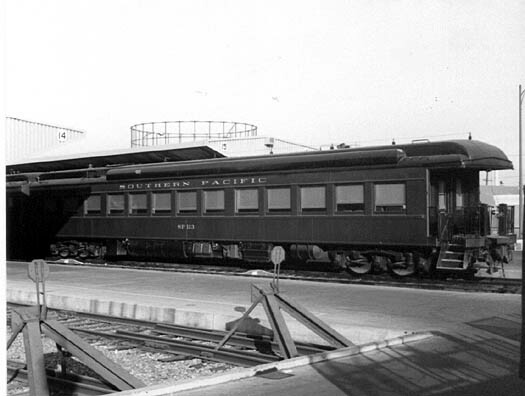 The date and location of this photo of Harriman dining car SP 10111 are unknown. 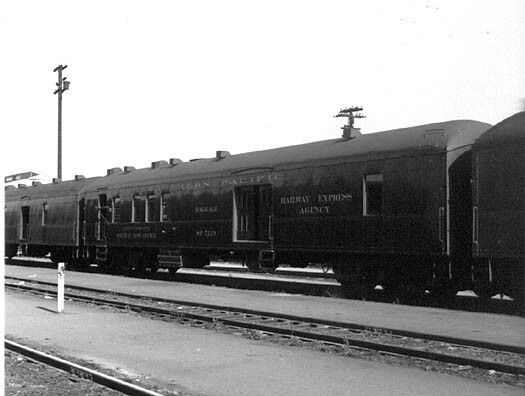 The diner is still lettered "SOUTHERN PACIFIC LINES." Since the word LINES was dropped in 1948 the photo must have been taken within a few years after that date. Note the two unusual rectangular boxes on the near end of the roof. Chris Culp says they are fresh air intake vents for the air conditioning and that many early air conditioned diners (and other cars) had these. He says T&NO's were usually found in the middle of the car, where the overhead A/C unit was located. 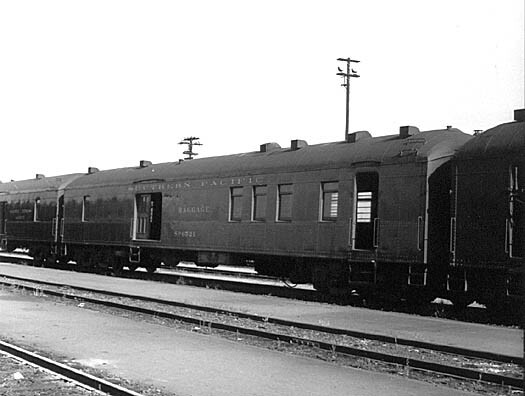 This photo of baggage-mail car SP 6521 is tentatively dated August 1953. The location is Oakland, CA. 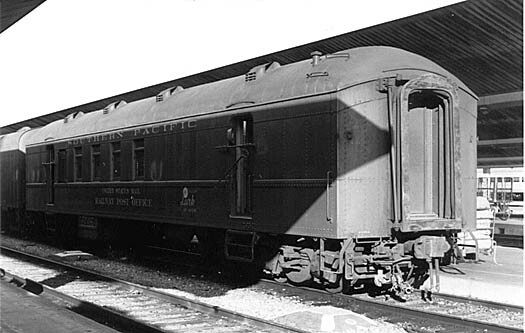 Note that the usual lettering for UNITED STATES MAIL RAILWAY POST OFFICE under the mail apartment windows and RAILWAY EXPRESS AGENCY at the far end of the car (see next photo) have been removed, with only the word BAGGAGE remaining. Evidently this car had become strictly a storage car. 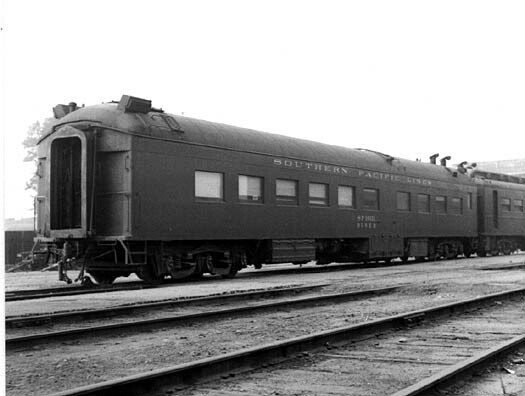 This photo of SP5129 appears to have been taken at the same time and location as the previous photo. It still has the full complement of lettering. December 1961 at Los Angeles Union Passenger Terminal (LAUPT). 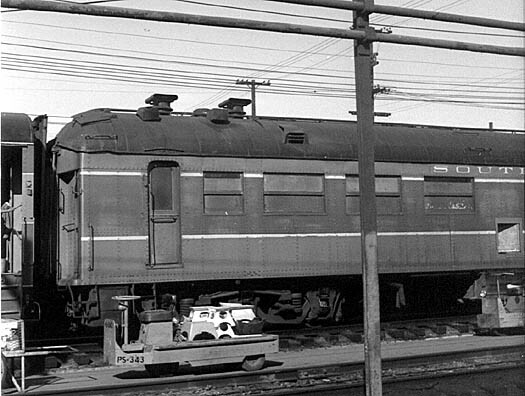 SP 113 at LAUPT in December 1961. 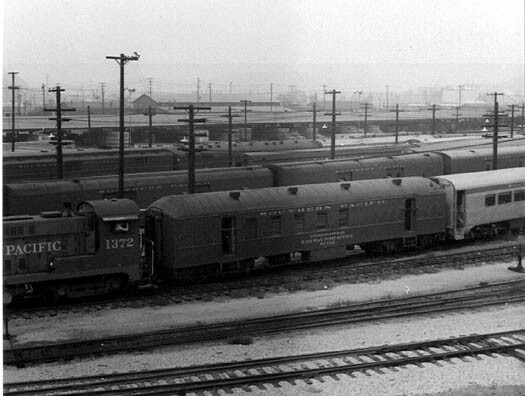 LARK 60-foot RPO SP 4119, December 1961 at LAUPT. 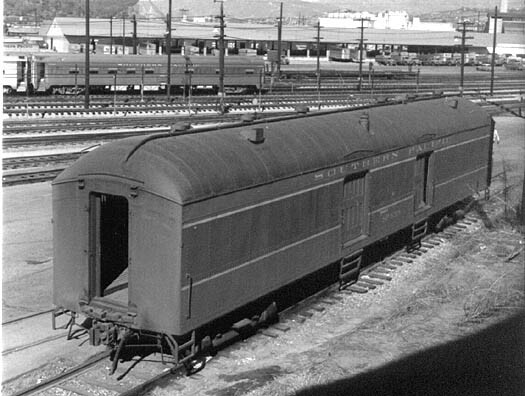 Baggage-mail car SP 6119 with a 15-foot mail apartment. 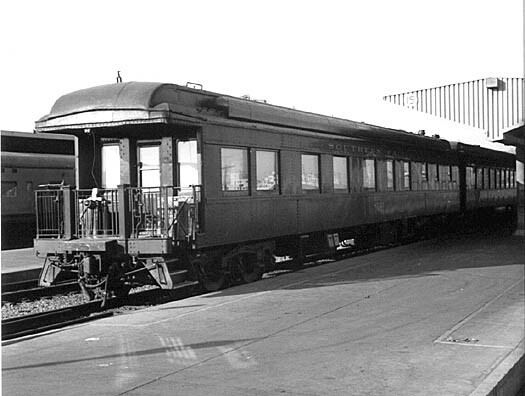 This and the two following photos were taken in December 1961 at the Los Angeles Mission Road coach yard. Note the two extra windows between the single-windowed mail apartment and the first wide door. The kitchen end of an unidentified diner. 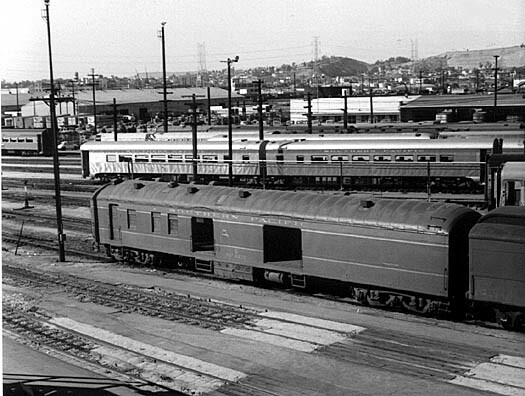 This photo and the one following were taken October 1, 1963 at the Los Angeles Mission Road coach yard. 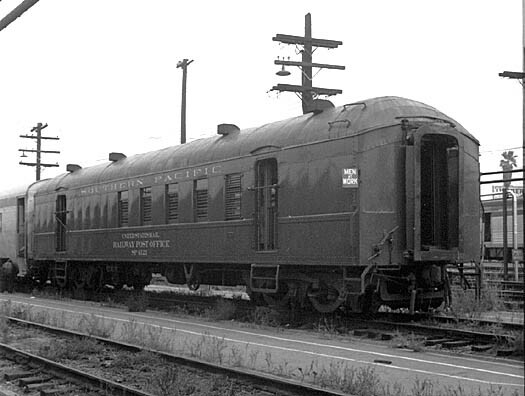 The 60-foot RPO is SP 4121.